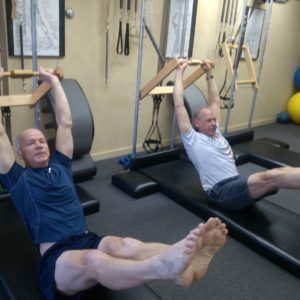 TRX Suspension Training is a new approach to exercise that leverages one’s own body weight and the force of gravity and is designed to develop strength, balance, flexibility, endurance, coordination and core stability all simultaneously. 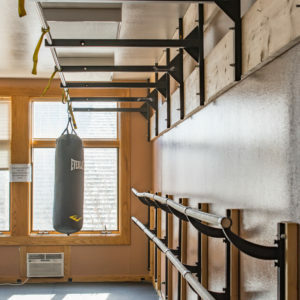 The system utilizes a system of straps, buckles and grips (called a suspension trainer) that allows the user to work against their own body weight. TRX training engages the core on every exercise in addition to providing some cardio fitness in every single workout. 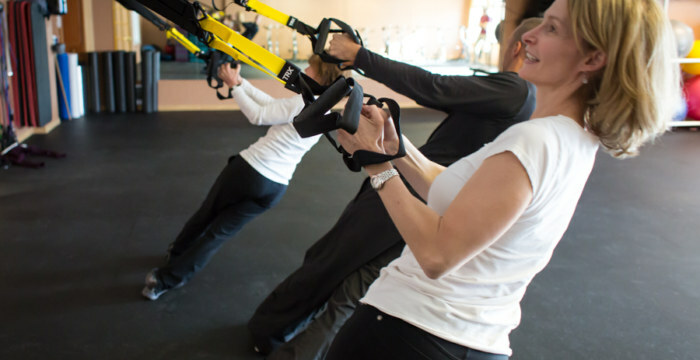 TRX Suspension Training is offered in small group training format.